The drain tile and downspout are the essential pipes in rainwater drainage system. When these pipes are broken or cracked, water typically collects at the base of your building or apartment. This water then passes into the basement walls and may even lead to property damage as well as the formation of mold. With over ten years of experience, Midland Gutter Pros repairs and maintains downspouts drain tiles and drain efficiently and quickly. You will realize that when it comes to working on underground drain tiles, our team of experts operates the excavation tools with the much-needed care and consideration of your property and lawn. If you have seen any leaks in your basement or noticed a shift in any sediment, it may be the ideal time to repair or maintain your drain tile or downspout drain. Midland Gutter Pros is situated in Midland, Michigan and boasts experts you can trust to evaluate the source of the issue and offer a complete solution before additional damage to your building happens. It is common for soil erosion to result and this enables a downspout to flood the same area of a garden continuously. To prevent erosion and washouts, we install an automatic recoiling downspout to drain the water. It is made up of heavy duty material, but it can be moved quickly when mowing the land. It is good to note that numerous gutter systems need a downspout to be situated roughly every 35 ft. It means that a typical home that contains 200 ft will need at least six downspout installations. 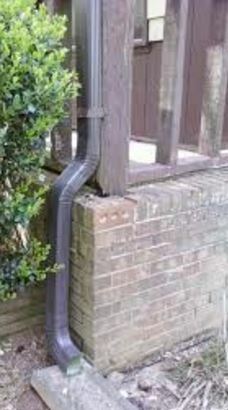 Midland Gutter Pros has the ability to fix all downspout drainage issues. Gutters and downspouts are our business, and we are determined to offer our clients quality service whenever they give us a call. Whether you require downspout seam repair or any other assistance linked to gutters, Midland Gutter Pros is the best option to solve it. Additionally, those that have questions concerning gutters and downspouts, Midland Company is more than ready to give you a viable solution. Also, we give our customers convenient and flexible appointments for technicians to arrive in their area of residence to repair downspouts. We also give our consumers some easy payment methods. All payment options are entirely secure and safe, and no information is shared with others. The good thing is that Midland Gutter pros take work seriously and are passionate about assisting homeowners to protect as well as maintain the beauty of their houses. We provide free in-home consultations to new clients and offer them the top professional advice and service. Call us today to schedule an appointment with our skilled personnel. Our experts will figure out the best strategy to employ to protect your apartment. Lastly, share the gospel with your good family members, friends, and neighbors. Let us maintain the status of your home!